Marshalls Tile and Stone Interiors Rustic Multi Slate Tiles have a marked riven surface creating a rustic charm and possess a variety of striking colours from greens to oranges, no two slate tiles are the same. These tiles are readily available in a variety of sizes including the Classical 3-Way Opus pattern. Slate is a fine grained rock formed from layers of shale and clay deposits, these layers can be detected in the delicate tracery of its texture. Why not take a look at the other enchanting colours available in the Marshalls Tile and Stone Rustic range? These tiles offer enormous potential for fascinating floors and walls, both inside and out. Use as an accent or to create a stunning statement. 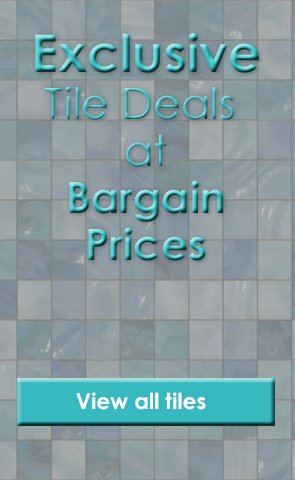 Product Code: MTS-RusMulti6060, Buy Now Marshalls Tile and Stone Rustic Multi-colour Tile 600x600mm from Tiledealer to get the best prices in the UK!